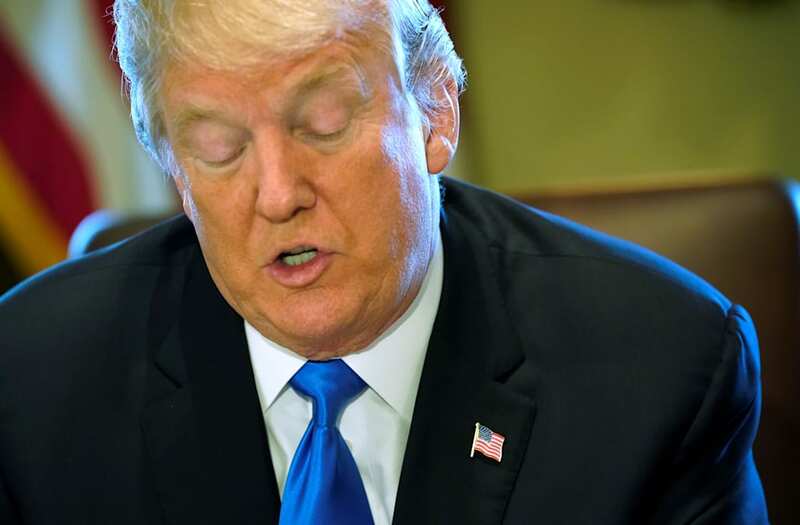 A new national Pew Research Center poll released Thursday shows that President Donald Trump’s approval rating is declining among demographic groups that previously gave him relatively high numbers, particularly among evangelicals. Though the decline was not as steep, Trump’s approval rating also dropped among adults 50 and older (from 47 percent to 38 percent) as well as among whites (49 percent to 41 percent). As Axios noted, Trump’s approval rating had either remained the same or dropped among every demographic group Pew polled. The survey was conducted Nov. 29 to Dec. 4 among 1,503 participants nationwide, a period during which Trump’s former national security adviser, Michael Flynn, pleaded guilty to lying to the FBI. According to a new HuffPost/YouGov poll taken in the wake of Flynn’s plea, half of Americans thought the ties between Russia and Trump’s team were a legitimate issue. Trump’s approval rating has been hitting record lows throughout his first term in office, and Pew’s latest survey is no exception. It found that 32 percent of respondents approved of Trump’s job performance while 63 percent disapproved.